The film focuses on Nancy Drew (Sophia Lillis), a smart high schooler with a penchant for keen observation and deduction, who stumbles upon the haunting of a local home. A bit of an outsider struggling to fit into her new surroundings, Nancy and her pals set out to solve the mystery, make new friends, and establish their place in the community. As a kid, I was an avid reader (I still am honestly so nothing’s changed all these years later). I mean a really avid reader. I devoured anywhere up to 150 books a year – I still have the certificates awarded at school assemblies to prove it, an act which while it tickled my book-loving heart, did nothing to stop the book nerd/gay bullying I experienced constantly – and among the vast array of genres I crossed were mysteries like The Hardy Boys, The Three Investigators, Trixie Belden, and of course Nancy Drew. 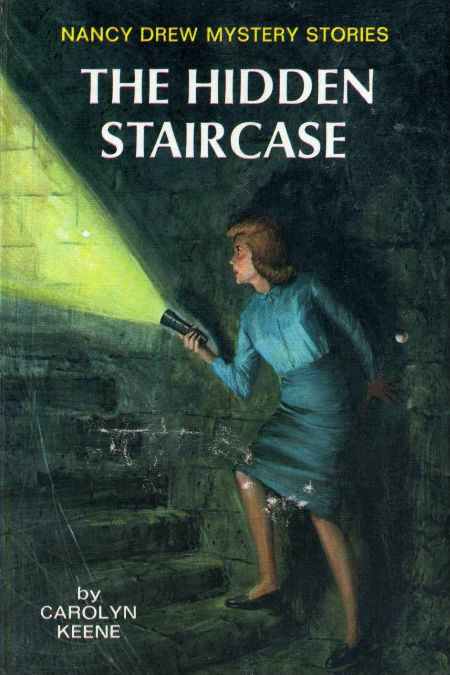 I loved Nancy Drew – quite possibly more than all the others which was saying a lot because I loved them too. But there was something about Nancy that really resonated with me, and I happily devoured all her adventures; as with most mysteries, I was hopeless at spotting who actually did the crime but that mattered not – Nancy Drew was a likably tenacious character, the mysteries were tense and involving without being exhaustingly so and there was always a happy ending where justice was served. Now Nancy Drew is striding back into the zeitgeist courtesy of Ellen DeGeneres whose is behind the new film Nancy Drew and the Hidden Staircase which, in common, with the books throughout their run (they first appeared in 1930 courtesy of publisher Edward Stratemeyer, who wanted a female-centric series to go with his Hardy Boys series) , has been updated to the present day. The trailer gives off a fun, involving vibe that actually matches the bright, breezy but reasonably substantial tone of the books. Much like in the books by Carolyn Keene – who was not, by the way, an actual person but a pen name used by a succession of ghost writers – Nancy Drew is accomplished, brave, bright and delightfully down to earth, all qualities that Lillis brings brilliantly to life. It will a pleasure to return to Nancy’s when the film hits US cinemas on 15 March ; we’re still waiting for an Aussie release date to be confirmed.